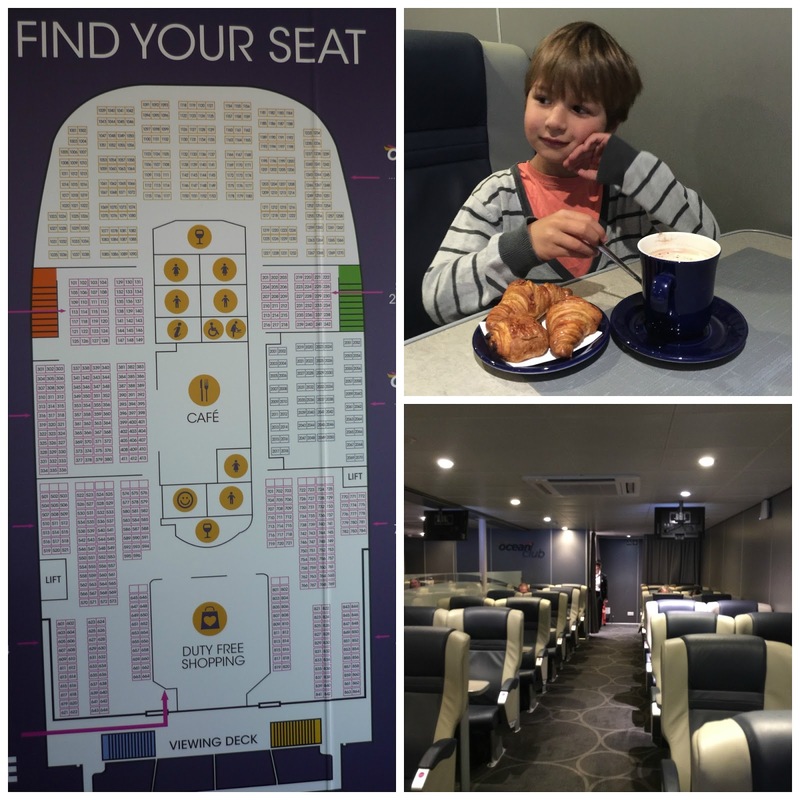 Older Single Mum: Ferries of the Future - The Condor Liberation. Ferries of the Future - The Condor Liberation. Is it a bird? Is it a Spaceship? Er, no. It's a 102m Ferry! 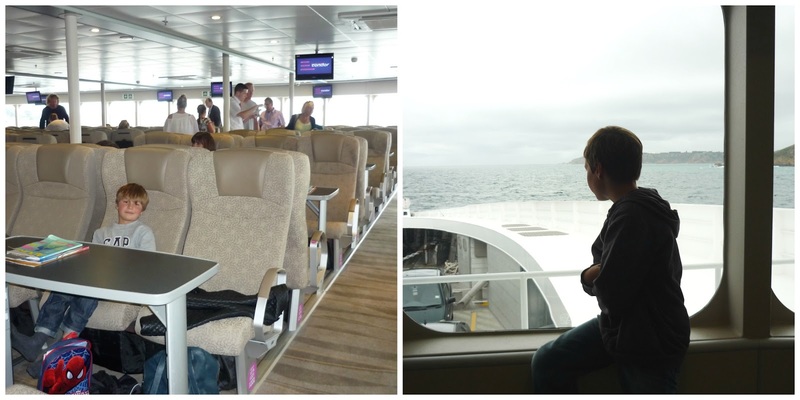 We're big fans of family travel by ferry in this house. We love the convenience and, living on the coast, we can get to ports pretty easily. On this occasion we were travelling from Poole Harbour, in Dorset, to the Channel Islands (again). I wasn't very impressed with a 4.30 am sailing time but whizzing through what is normally very busy town during the daytime, straight on to the ship definitely had its advantages. And doing so in the dark certainly added an extra frisson for the children! Little did we know that we would be on board a fast ferry from the future - the brand new Condor Liberation - the first of its kind in Northern Europe. It has a trimaran (three-hull) design which gives it greater stability and provides a smoother, more comfortable and reliable crossing for passengers than normal. We're talking a whole new era in sea travel and all from just £34.75 per person with a car. Well, we'd been put into the poshest of the three seating areas on the way over and into the middle grade one for the return journey. We actually preferred the location and layout of the latter, cheaper one, though, because it has floor-to-ceiling panoramic windows and, therefore, a fantastic vista for the the whole of the three or four hour journey, depending on whether you are travelling to Guernsey or Jersey, respectively. But seeing as we were travelling outward in the dead of night, those views would have been wasted on us. 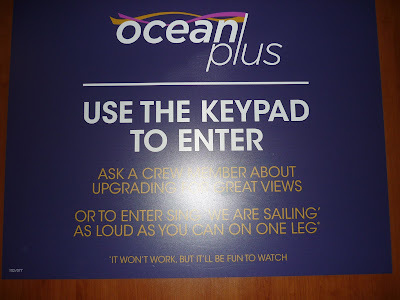 Instead, we really appreciated the quieter more cosy Ocean Club Lounge, with its all-leather reclining seats and first-class at-seat steward service. We were greeted with complimentary hot chocolate and fresh pastries and hadn't even realised we'd set sail before we setted down for some sleep, so silent and serene was the ship. The ultimate luxury in ferry travel - the Ocean Club Lounge @ £19.95 per person supplement, each way. And true to its word, it delivered such a crossing the entire way and my eldest, who has a tendency towards travel sickness, wasn't bothered in the slightest because its movement was minimal - something not to be underestimated. This was particularly important coming back when the weather was rougher. He was able to relax and walk around and generally enjoy himself in a way that he doesn't usually, which, in the end, would drive me mad as I couldn't keep tabs on where he was! The middle grade Ocean Plus Lounge @ only £4.95 per person supplement, each way. 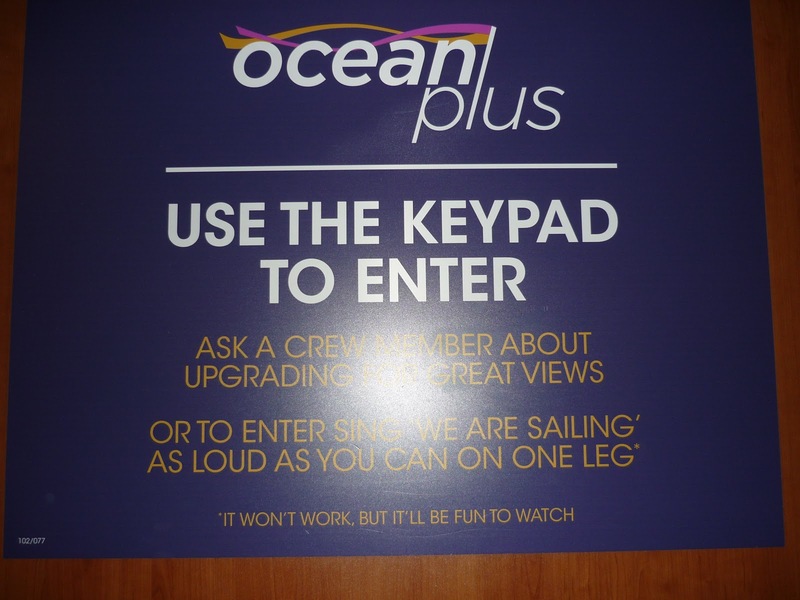 The Ocean Plus Lounge is self-contained and entered via a code you're given with your embarkation tickets. There's a funny sign outside to keep out the riff raff ;) Please excuse the flash thing. In fact, funny signs abound, but their safety video really takes the biscuit. It's done rap style and never before have I seen one so watched or paid such avid attention myself. Although it gets the message across, it's done in a lighthearted and generally hilarious, tongue in cheek way and definitely worth a watch just for fun. I've popped it on at the end of this post for a laugh. Anyhow, once you've gained access to the Ocean Plus Lounge, you'll find an exclusive bar that serves snacks and a variety of drinks, but you will need to go outside to the main Ocean Traveller Lounge to the buffet style Casquets Bistro for a wider range of hot and cold food, all of which can be brought back to your table. A wide selection of sandwiches, ciabattas, baguettes and wraps. A delicious full English Breakfast including a vegetarian option. Main meals including favourites such as Fish & Chips, Steak & Ale pie, Pasta Dishes and Curries. Scones and cakes, pizza, paninis and Croque Monsieurs. And here is where you will feel the difference between the two upgrades. It's not waiter service nor served with linen napkins, proper plates and cutlery. But it's exactly the same food. #Justsaying. For entertainment on board, the children can go to the Kids Zone and watch a movie while you can have a proper peruse in the genuinely discounted Adore Duty Free shop, where things are up to 40% cheaper than the mainland - wines and spirits, cosmetics and confectionery, toys, gifts and fragrances, all for a fraction of the price they normally cost. It's very enlightening and a must. The Condor Liberation offers seating for up to 880 passengers in three optional areas and carries up to 245 vehicles. It's fast, it's family friendly and a ferry of the future. 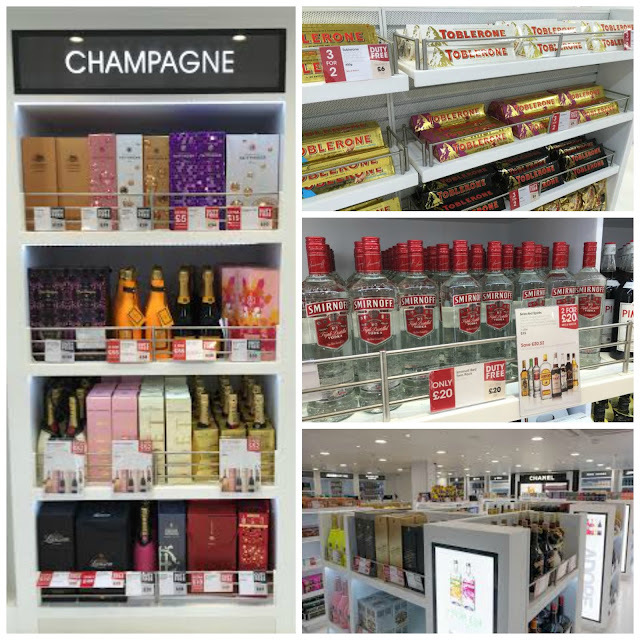 Their special offers to the Channel Islands can be found HERE and other travelling times are available. Being on St. Brelades Bay beach before brunch is a bonus though. Guernsey 8am, Jersey 9am, St Brelade's Bay beach before brunch. As I mentioned in a previous post, we're familiar with Jersey because I used to live there. You don't need a passport to travel between the UK and the Channel Islands with Condor Ferries, but you do need suitable proof of identity. I think it's always worth taking your own transport this way, because it's the perfect way to explore - especially if you're staying in a Wildlife Conservation Centre, situated in the middle of the island, which I'll be writing about soon! The supplements for upgrades are Ocean Club Lounge - £19.95 per person each way and Ocean Plus Lounge - £4.95 per person each way. Disclosure - We were provided with both crossings and upgrades for the purposes of this review but all words and opinions are my own. Travelling on the water is so exciting for children, we have booked a mini cruise for next year but I am beginning to think I could possibly get similiar excitement levels for them on one of these ferries!! How lovely. Comfy seats win every time on ferries and well worth upgrading for! The ferry looks very James Bond doesn't it? I'd love to try it out. I love travelling across water and my dream is to one day go on a cruise.